The Garage is great for getting the car out of the weather. 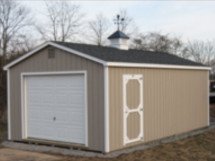 Myers Barn Shop offers garages suited to your vehicle needs! 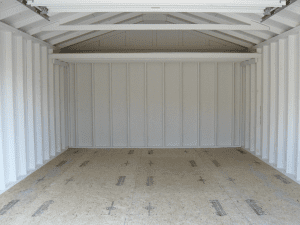 We can place your garage exactly where you need it. Protect your vehicles, or that antique car that you are fixing up, your four-wheelers, and that small compact tractor etc. A portable garage will keep it nicely. Need something larger? 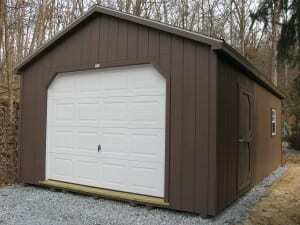 We can build on site custom garages too! Here are a few examples of our Garages. 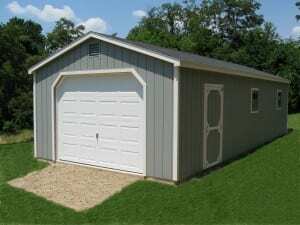 14 x32 Garage, 9' x 7' garage door, 3' single door and (1) window. Just right for that antique car, truck or tractor, or maybe that canoe or fishing boat. Get it in out of the weather. 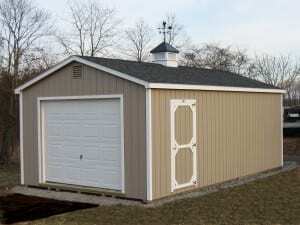 14 x20 Garage, 9' x 7' garage door, 3' single door and (1) window. 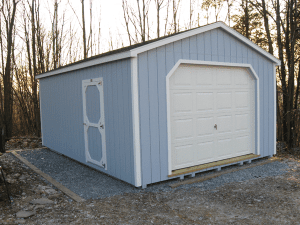 14 x20 Garage, loft in the back, painted for protection and to brighten the interior.